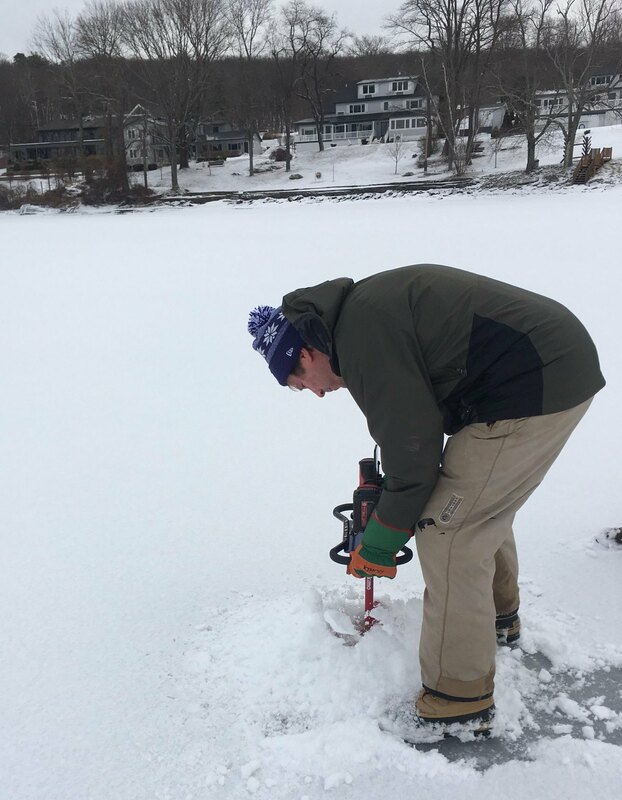 Ice Measurements were taken this weekend in front of Boat House restaurant. We recorded an average of 9.5 inches, as the lowest was 8.5 and some were as high as 10 inches. Our minimum for Safety is set at 10 inches of thickness and we have no doubt we’ll exceed that number in a matter of days with a cold snap coming to our area this week. 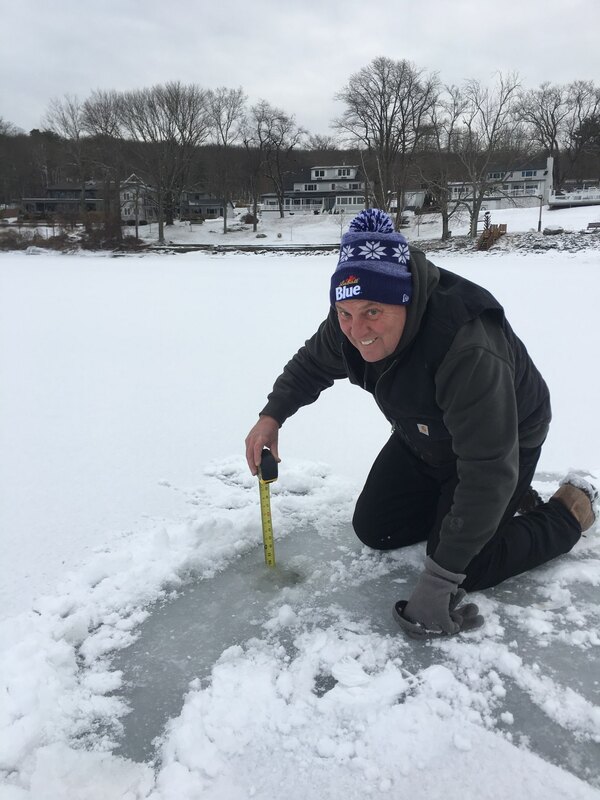 Wally Ice Fest remains on track for Curling, Ice Tee Golf and Pond Hockey on February 9th and 10th. 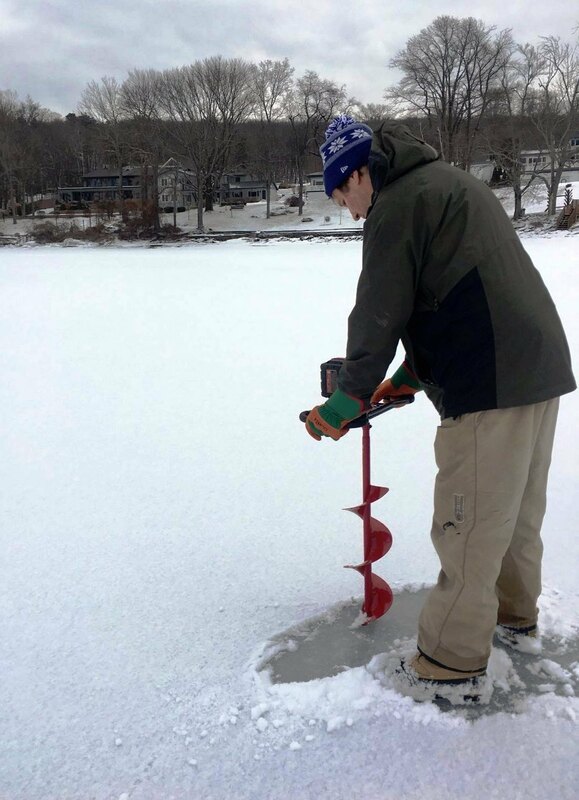 Now that we have safe ice, we soon plan to resurface the ice for pond hockey using water pumps. Then we move to the rink construction phase, hoping to get help from our local community. The next phase involves creating Ice Tee Golf courses using many donated Christmas trees for lining the fairways; and drilling holes for the Greens. We are also currently in need of donated putters and short ironed wedges. You can drop Golf Clubs off at the Lake Wallenpaupack Visitors Center (open every day! ).